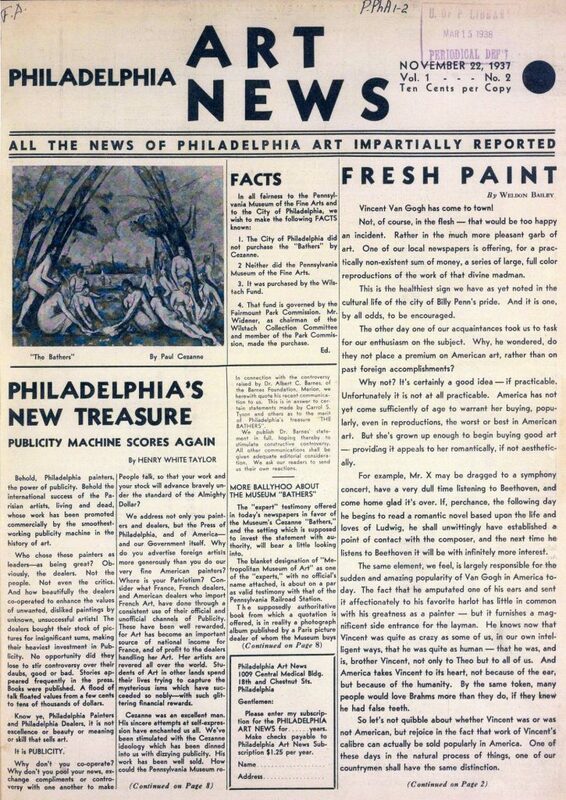 To those interested in observing what happens to the Oriental mind that has become occidentalized in art, we suggest the group of native Chinese – but now American – painters ot be seen at the Philadelphia A. C. A. Gallery. Not only have they absorbed the Western aesthetic outlook, but three of them have turned avidly to the inevitable social problem. 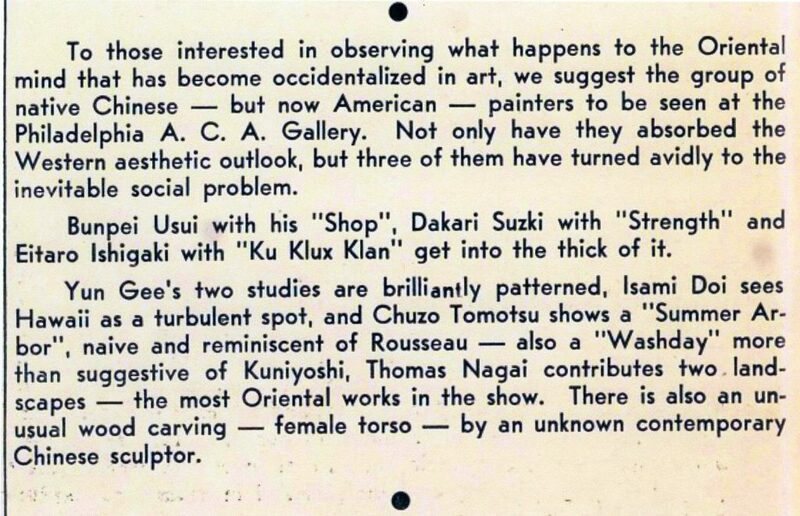 Bunpei Usui with his “Shop,” Dakari Suzki with “Strength,” and Eitaro Ishigaki with “Ku Klux Klan” get into the thick of it. Yun Gee’s two studies are brilliantly patterned, Isami Doi sees Hawaii as a turbulent spot, and Chuzo Tomotsu shows a “Summer Arbor,” naive and reminiscent of Rousseau – also a “Washday” more than suggestive of Kuniyoshi, Thomas Nagai contributes two landscapes – the most Oriental works in the show. There is also an unusual wood carving – female torso – by an unknown contemporary Chinese sculptor.